American Trucking Associations has petitioned the trucking industry’s top regulator to determine that California’s meal-and-rest-break requirements are pre-empted under federal regulations. 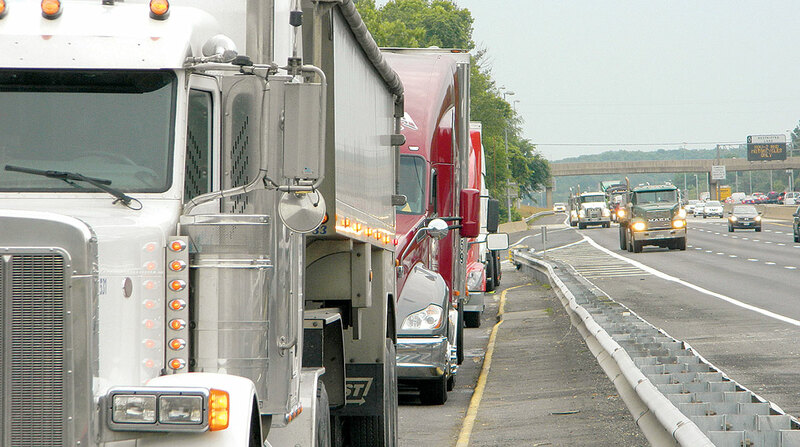 ATA’s petition to the Federal Motor Carrier Safety Administration, in an effort to ensure nationwide uniformity of meal-and-rest-break rules for commercial drivers, argues that duplicative state break rules hinder safety, are incompatible with federal regulations and create an unreasonable burden to interstate commerce. The petition cites federal regulation that affords the Secretary of Transportation authority not to enforce such state requirements on commercial vehicle safety that conflict with safety or hinder interstate commerce. “ATA is committed to finding a solution to this issue, and this petition will allow the federal government to reassert its authority and affirm one national standard in regard to meal and rest breaks,” Hall said. FMCSA did not return a request for comment on the petition as of press time. In a letter to Transportation Secretary Elaine Chao obtained by Transport Topics, a bipartisan group of House and Senate transportation leaders expressed support for a review by U.S. DOT on the impact state meal-and-rest-break requirements could have on the trucking industry. Signing the letter were Senate Commerce Secretary John Thune (R-S.D. ), and House Transportation and Infrastructure Committee Chairman Bill Shuster (R-Pa.), as well as Republican Reps. Jeff Denham of California and Sam Graves of Missouri, chairmen of the subcommittees on railroads and highways, respectively. Democrats included Sens. Bill Nelson of Florida, Jon Tester of Montana and Heidi Heitkamp of North Dakota, along with Rep. Henry Cuellar of Texas. This year, ATA officials sought to address concerns about California’s meal-and-rest-break rules legislatively. A provision that was designed to ensure nationwide uniformity on meal-and-rest-break rules for truck drivers had been included in earlier versions of House and Senate aviation reauthorization legislation. Lawmakers, however, excluded the trucking provision in a final version. Specifically, the provision was meant to clarify a 1994 law to block a California law on meal and rest breaks. That law in California, from 2011, requires employers to provide a “duty-free” 30-minute meal break for employees who work more than five hours a day, as well as a second “duty-free” 30-minute meal break for people who work more than 10 hours a day. After weeks negotiating aviation policy, the House on Sept. 26 advanced the five-year bill that would authorize aviation safety and infrastructure programs set to expire at the end of the month. Senate leaders have indicated support for the aviation bill. It is unclear when the Senate would schedule a vote, after House passage.